Join TOMORROW, embrace the future and get excited by fresh and fearless work that is used and remembered beyond today. Join our team of 30 people based in Shanghai, and work on digital campaigns and platforms for Absolut, Burberry, Carlsberg, Evian and Kohler. We’re looking for a passionate and experienced Creative Director. You develop fresh and fearless digital creative concepts. You don’t believe in old-school advertising; you get excited by branded initiatives that impact work, life and play, and are remembered or used beyond today. You lead a team of 20 creatives working on 10 clients with a drive to deliver the best digital campaigns and platforms in the industry. � Lead creative discipline within the agency, meaning that you take control and ownership of creative across all projects to safeguard quality. � You show fresh and fearless thinking, being flexible, having a can-do attitude and a drive to deliver the best work in the industry. We’re looking for a passionate and experienced Senior Creative Copywriter. You develop fresh and fearless creative concepts from a copywriting and storytelling point of view. You write flawless Chinese copy that captures the attention and imagination of our clients’ audiences. And you lead the copy/content team. � Lead copywriting discipline within the agency, meaning that you take control and ownership of copywriting across all projects to safeguard quality. We’re looking for a passionate and experienced Senior Digital Designer. You create pixel-perfect digital designs that push the boundaries creatively and technically. As a senior creative, you also deliver conceptually, and deliver fresh and fearless creative concepts. We’re looking for a passionate and experienced Senior Digital Strategist. You develop sharp and smart digital strategies and advice clients how to reach their business objectives. You work across every digital touchpoint, including Chinese social media, ecommerce, search, content, apps, chat bots, AR, VR and AI. You love to work on innovative digital products and services. � Lead digital strategy discipline within the agency, meaning that you take control and ownership of digital strategy across all projects to safeguard quality. � Being a thought leader and go-to person for clients and team members on Chinese social media, ecommerce, search, content, apps, chat bots, AR, VR and AI. � Solid understanding of Chinese social media, ecommerce, search, content, apps, chat bots, AR, VR and AI. � Solid understanding of technical possibilities and limitations. We’re looking for a passionate and experienced Community Manager, focused on luxury brands. You manage and grow the social channels of our luxury brand clients. As a Community Manager, you create content strategies and calendars, you write and craft content, you publish content on social media, respond and interact with users, and analyze and report on results. We’re looking for a passionate and experienced Community Manager, focused on street and youth culture. You manage and grow the social channels of our street culture brand clients. As a Community Manager, you create content strategies and calendars, you write and craft content, you publish content on social media, respond and interact with users, and analyze and report on results. � You have passion for and understand of street culture, youth culture, street fashion, etc. We’re looking for a passionate and experienced Office Manager. You love to create a great work environment for the team. You manage office supplies, IT equipment, company outings, office procedures, job postings, candidate interviews and onboarding of new employees, just to name a few things. Thanks to you, the office runs smoothly and the team feels happy! � Manage all office-related tasks, meaning that you take ownership of the office to pro-actively and independently get things done. � Delivering a great experience to everybody that interacts with the company, no matter if it’s a client coming in for a meeting, or a delivery guy: you are the first impression. � You have worked at least 3 years in an Assistant, Front desk or Administrative role. � You have experience with Word, Excel, Outlook and other office software. We’re looking for a passionate and experienced Senior Front-end Developer. You turn digital concepts and designs into reality by pushing the boundaries of HTML/CSS/JS. You love working on the edge of design and code, and develop campaigns and platforms that are remembered tomorrow. � Proficiency in HTML5, CSS3/LESS/SASS, JS/jQuery. � Proficiency in using libraries and languages including React, Angular, Aurelia, ES6, Typescript, Knockout, Webpack, RequireJS and GSAP �C let us know what you know. We’re looking for a passionate and experienced Senior Back-end Developer. You make sure the code and servers behind our campaigns and platforms are rock solid. You live and breathe the best in back-end and DevOps, and love working on campaigns and platforms that are remembered beyond today. Send your CV and portfolio to Rachel on rachel.xie@tomorrowchina.com. You can also take a look at www.tomorrowchina.com to learn a bit more about us. 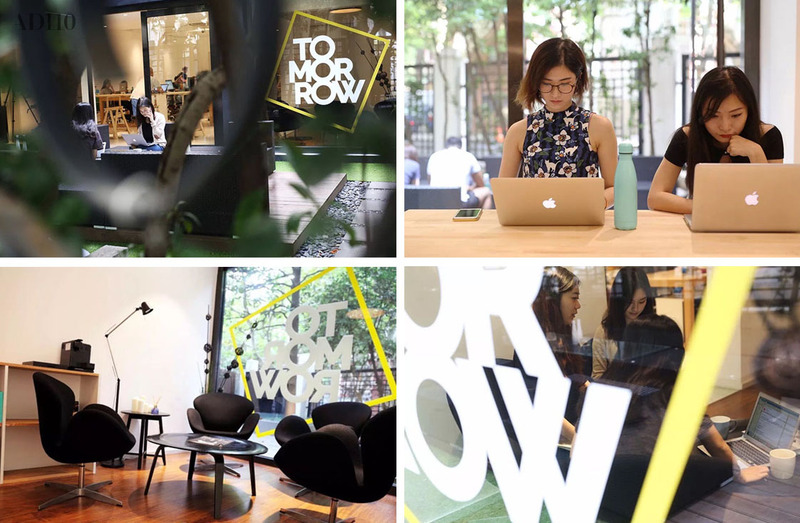 We’re a Swedish creative agency based in Shanghai. We turn creativity into business, through content and technology. We started TOMORROW with a simple but compelling question: Where do you want to be tomorrow? This question drives us to challenge ourselves and our clients to embrace the future, and always be a day ahead. We’re a team of 30 friendly people from across the world, including Chinese, Swedish, Italian, Russian, Filipino, French and Dutch. We believe in fresh and fearless thinking, in being flexible, having a can-do attitude and the drive to deliver the best work in the industry. We plan, create and run digital campaigns and platforms that impact work, life and play. We get excited by the kind of work that is used and remembered beyond today. Our expertise spans across brand, communication and digital strategy and concepts, as well as design, content and in-house tech development. We work with Burberry, Absolut, Carlsberg, Evian and Kohler, and run innovation platform Ask Jerry with Pernod Ricard. 本次面页执行时间：44.9 毫秒　|　AD110・aLife - 资讯 读书 生活 作品 分享　|　Copyright © 2005-2019 ooogo Inc. All rights reserved.